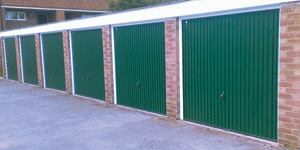 You don't need to be a council tenant to rent one of our garages. All our garages are advertised on on our Finding a Garage website and each advert tells you its exact location. Computers are available for you to use in Marmion House and staff will be on hand to assist you if you need help. A premium charge of an additional 71p per week will be charged, on top of the weekly rent if you do not live within the town centre vicinity. Please note: Arrears of more than four weeks means your garage tenancy will end. Weekly Garage rents from 1 April 2018 based on a 48 week rent year.